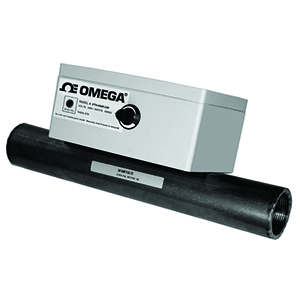 OMEGA™ flow through heaters are designed primarily for providing heat that regulates liquid temperature from 32 to 88°C (90 to 190°F). The heaters have a titanium element that resists corrosion. The flow through tube is 381 mm (15") long and has 1 1/2 NPT female pipe connections and is available in 304 SS. The safety high limit trip point for the heater is 99°C (210°F). The 201 x 145 x 89 mm (7.9 x 5.7 x 3.5") enclosure is made of ABS plastic and is water resistant.